Showcasing pieces choreographed and performed by students, the Bates Dance Company’s annual spring concert takes the Schaeffer Theatre stage in performances April 3-6. The company presents two different programs over the four nights, one on Friday and Sunday and the other, Saturday and Monday. Program A is performed at 7:30 p.m. Friday, April 3, and 2 p.m. Sunday, April 5. Program B is performed at 5 p.m. Saturday, April 4, and 7:30 p.m. Monday, April 6. Schaeffer Theatre is located at 329 College St.
Tickets are $6 for the general public and $3 for seniors and students, and are available at batestickets.com. One ticket provides admission to all performances. For more information, please call 207-786-6161. 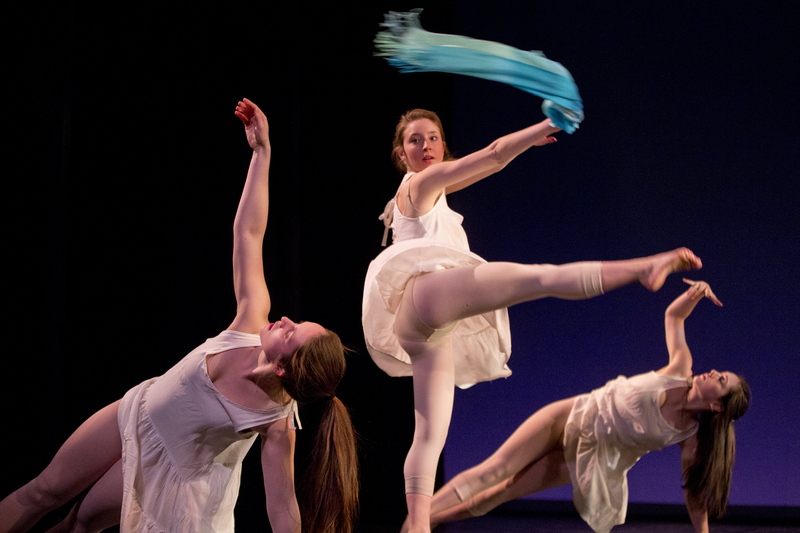 Dancers perform “Elephants in the Room,” a thesis work by Anna Lanoue ’15. All told, the concert series comprises 16 pieces from 58 performers. While the student choreographers come from three dance courses (Dance Composition, Advanced Composition and Senior Thesis), the dancers represent a diverse selection of the Bates student body, coming from all walks of campus life. The performances, too, are diverse, spanning styles from hip hop to theatrical comedy. Three dance majors will present their senior theses — Isaiah Rice of Charlotte, N.C., Tomisha Edwards of Memphis, Tenn., and Anna Lanoue of Newton, Mass. Edwards and Lanoue will be showing their pieces during the Friday and Sunday performances, and Rice’s thesis will be part of the program on Saturday and Monday. Lanoue, who is also a psychology major, uses dance to examine the relationship between mental illness and the arts in her thesis piece. Inspired by the many brilliant artists who have struggled with debilitating conditions but nevertheless created beautiful and meaningful work, Lanoue explores how extreme emotions and mental illness are expressed through the physical body and can shape movement. 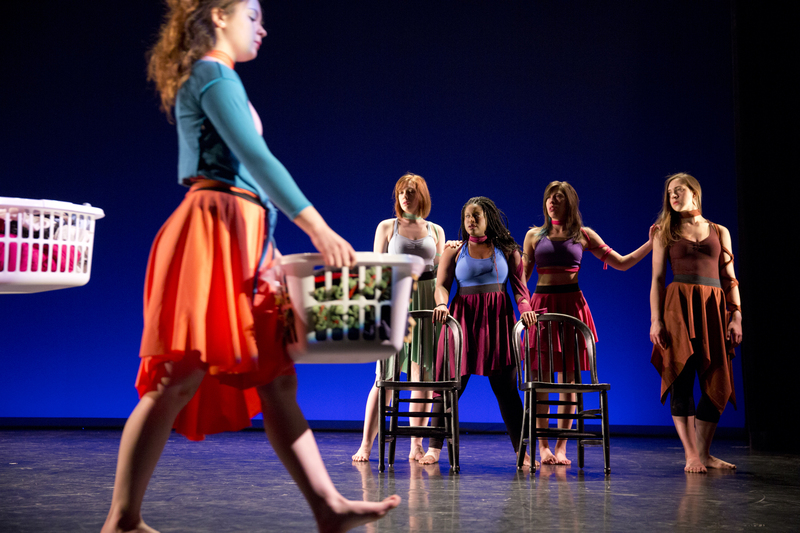 Dancers perform in “(un)spoken,” a thesis work choreographed by Tomisha Edwards ’15. Edwards’ thesis piece depicts feminists’ struggle for social and cultural equality. Featuring nine female dancers and music by female artists, the performance scrutinizes times when women feel compelled to apologize or stay silent to conform to society’s expectations of what a woman should be. 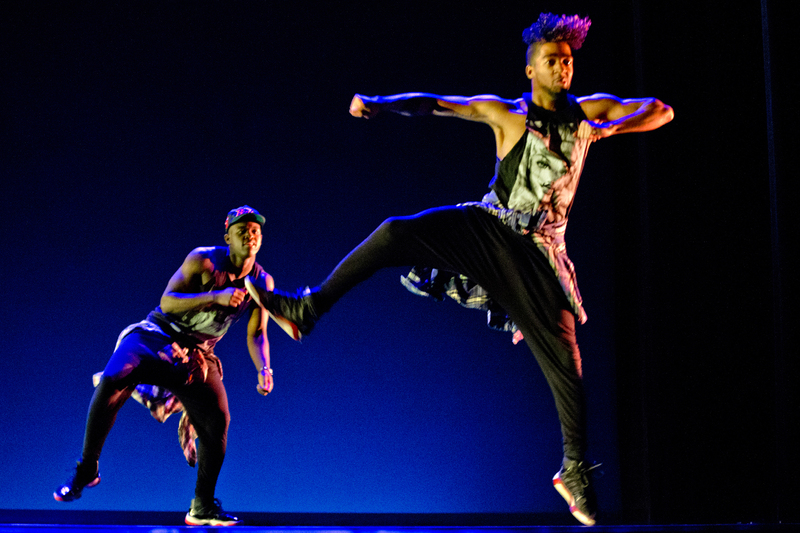 Rice’s thesis, “Power Lines,” is a hip hop performance that explores gender and power in the commercial dance industry. Dancers perform traditional gender roles, gender swaps and gender neutrality to bring into question the way that the entertainment industry depicts the balance of power between men and women. Many of the pieces feature lighting design by students in a course in the theater and dance department, Lighting Design. The April 3 performance, which coincides with Bates’ Mount David Summit, the college’s annual campus-wide celebration of academic achievement, showcases choreographers from all levels of dance composition courses.